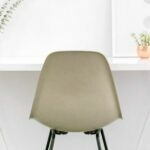 Yes, yes, I realize spend about 5 minutes on Pinterest and you’ll see 3,285 pins about ways to save money, which is why you haven’t seen a similar post on this blog before! But as I’ve been helping others get on a budget and coaching themon how to cut their expenses and save money I decided that you just can’t be the author of a personal finance blog without including your own article on the topic! So here it is, a collection of my 9 favorite ways to save money! I’m not talking about extreme couponing here…in fact, most of these take very little effort or a small amount of work in the beginning that really pays off! Since meal planning is the tip that does require the most effort, I thought we’d talk about it first and get it out of the way! 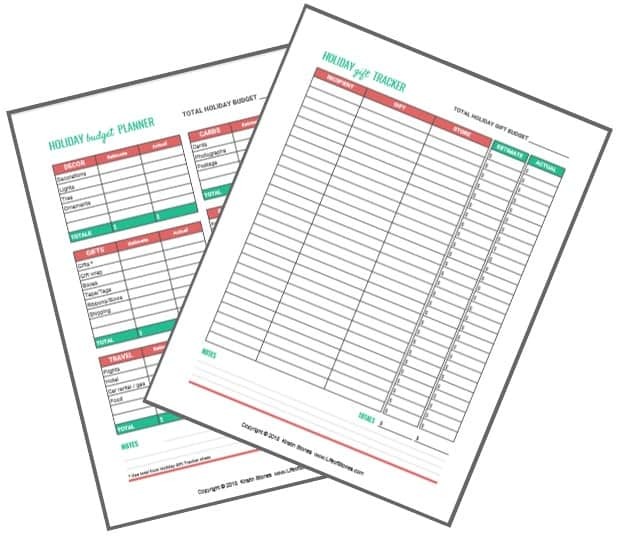 While it might take some work on the front end, consistent meal planning not only saves you a ton of time (once the planning and shopping are complete) but it also will help you save money…and often a substantial amount! When you are randomly walking the aisles and grabbing your normal staples (plus whatever happens to catch your eye at the moment) you might end up sticking to your budget, which is great, but the odds are when you’re making dinner most nights you’ll realize you’re short an ingredient or two. When this happens a few times each week those extra trips add up and before you know it, you’ve blown your food budget. Another good way to combat this is to do your food shopping online (See #9 below)! Some local grocery stores offer this option on their websites or you can use large online grocers such as Thrive Market or Amazon Fresh! Both of these programs cost money to join but the benefits are exceptional! Thrive Market is perfect for you if you’re a healthy eater who doesn’t like to take the time to search for your specialty ingredients and doesn’t want to pay the specialty price either…you’ll likely end up making back your signup fee in your first few orders! You can get an extra 25% off your first order! If you are already an Amazon lover than Amazon Fresh will give you the same awesome service you already know and love on another level with the lightning fast delivery you’ve come to depend on! Get a free trial of Amazon Fresh. Taking the time to plan your meals in advance allows you to head to the store (or online) with a clear “plan” of attack! You won’t be wandering aimlessly, instead, you’ll be focused, buying only what you need which will save you time and you’ll be amazed when you might even come in under budget! You can see how I often meal plan and shop for a month at a time! Again, this takes more effort up front but then I know what I’m making for the whole month…it’s almost like a vacation! We were not in a good place, financially, and were desperate to lower our expenses. Personally, I would have preferred increasing my income instead but that wasn’t going so well either so we were left scrambling to see where we could force some savings. After a small adjustment period, we were completely unphased by the lack of TV options! Honestly, we already used Netflix, we subscribed to Hulu+ for the current network shows and we also had Amazon Prime Video! We rarely had to deal with commercials and could basically watch anything we wanted except for most sports. Sports, I think, is what holds a lot of people back from canceling their cable but there are a ton of other options out there now to subscribe to different sports packages without your typical “cable”! I had read an article a long time ago that talked about how shopping at wholesale clubs actually made you spend more money instead of saving money so I rarely went to Sam’s Club, even though we had been a member for years. More recently I started doing some price research between Aldi (where I do most of our food shopping), where the paper products are very reasonably priced, and Sam’s Club. I completely expected Aldi to be cheaper and was shocked when Sam’s Club won in almost every scenario! We save a substantial amount each month when we purchase our bottled water, paper plates, toilet paper, paper towels, napkins, etc. Also, we purchase American Cheese at Sam’s too! I can buy 5 pounds for about $11.00 and our regular grocery store costs almost $7.00 for just one pound?!? They also have some really great prices on other essentials and awesome promotions at different times of the year too…if you have a Sam’s Club near you (if not you can shop on their website with a membership) I would definitely say you will get your money’s worth out of the membership! Sign up here and receive a $10 eGift Card! These have really been gaining popularity in the past few years and while each app might have a slight learning curve, once you know how to use them you can become efficient and really save! Cartwheel is now combined with Target’s main shopping app but it still works the same. You can look up items on sale and “save” the coupon to your Cartwheel. When you checkout you show the cashier the barcode on your phone, which they will scan applying all the saved coupons to your purchases! Many Up & Up (a Target brand) products almost always have a 5% off coupon in Cartwheel. It might not be a lot but if you use Cartwheel and your RedCard (don’t forget, there is a RedCard debit card as well) together you’ll save 10% on those items! In addition to the small coupons, you can really find some incredible deals on Cartwheel sometimes! I even found one for 50% off all boots last year! They also have a “scan” feature where you can use your phone to scan any item in the store. They have updated this feature recently so now it’s also a handy price checker! When you scan an item it will automatically save the coupon if one exists, which is much faster than searching all available coupons! Bonus: If you have a child with you, give them your phone and let them scan each item as you put it in the cart. It keeps them occupied and saves you extra time! Ebates is for multiple stores, not just one. A lot of cash back apps don’t help me too much since I shop mostly at Aldi and Sam’s and don’t purchase too many name brand food items, but Ebates is great because you can use it on your total purchase at a ton of online stores (plus they’ve now added an in-store feature too)! I like simple, don’t we all? Ebates is simple. Sign up for an account, then when you’re shopping online go to Ebates first, then search for the store. Ebates will take you to that store’s regular website. You shop and checkout as you normally would. When your purchase is verified Ebates will deposit money into your Ebates account. They will automatically mail you a check each quarter! How easy is that? Other cool features: you can refer your friends and Ebates will give you $15 for each person that signs up and makes a purchase! Pretty cool, right? $15 for basically no effort! Sign up here then you’ll be given your own referral link to post on social media or share via email or text! When your friends sign up you’ll get paid and they will earn a $10 bonus also! P.S. There are tons of other cash back apps, I just can’t recommend them because I personally don’t use them, so I don’t know if they are worth your time…if you are looking for more a quick Google search should give you lots of other options! Now, I’d actually prefer if you stop using credit cards for the most part anyway, and I know many of you have, which is great! BUT maybe you’ve paid off your balances and still have rewards points sitting in your account! This is FREE MONEY people! (well technically, if you’ve paid a ton of interest, it’s not really free but go with me on this one). –CHECK YOUR STATEMENTS! Check every open credit card account (regardless of the balance). Look for your points balance. If you can’t find your balance then call the company and ask them what your rewards balance and how you can use your points! –USE YOUR POINTS! Cash those bad boys in! Redeeming your points for gift cards is usually the best route but it doesn’t hurt to check out the other options as well. Sometimes you can even find discounted gift cards! Sometimes our Chase Freedom card (which is the one card we kept because it is awesome and so is the service) even has gift cards “on sale” so we will redeem our points for gift cards we know we will use. For example, if there is a $100 Lowes gift card on sale for 20% off then we only have to use $80 in points to purchase it plus we can use a Lowes coupon or buy items on sale at the store…now that’s how you save money! Random note: If you’re a Veteran, first of all, thank you for your service and sacrifice! Second of all, did you know you can get a 10% discount off ALL purchases at Lowes and Home Depot? (there might be some exceptions when combining with sales but we have never been declined before) How cool is that??? Start using this! You can really save on big home projects with this! You can also get a $150 bonus once you spend $500 with the Chase card we use! I catch a raised eyebrow periodically when I share this tip but I honestly don’t care. I consider myself to be frugal instead of cheap but some people might have other opinions and I’m ok with that! I hate waste. I hate wasting food and I really hate wasting money! We don’t go out to eat often and when we do it’s usually just a quick lunch or grabbing Chipotle (our favorite) on the way home from running errands. I almost never purchase a drink at these places because I almost always bring my own water! 2 reasons: first – I’m a bit of a water snob! It’s basically all I drink and I’m picky about the taste so while places like Chipotle or Panera will usually give you a cup for free for you to fill with water from their soda machine, I don’t like the taste! That leaves me spending an additional $2 for a bottle of water. Umm…no thanks! I can purchase a whole case for a dollar more at Aldi! We get so used to food shopping each week that we feel we can’t get through the week without going to the store and stocking up! When you’re shopping weekly (or whatever schedule you use), even if you’re meal planning and making good use of all the items you purchase over time things still begin to accumulate! Maybe you ran out of time one evening and ordered out instead of making the meal you had planned (and shopped for). Eventually, you notice less room when you’re putting the groceries away. This is a great indicator that you should shop in your pantry instead of the grocery store that week! Sure, you’ll still have to get to the store for your fresh items but otherwise, take inventory of your pantry, freezer, and cabinets and put some meals together using those ingredients! You will likely be surprised by how much food you actually have sitting around! This is a great way to save money because you will be way under budget for your groceries that week plus you’ll be rotating through your canned goods and other pantry staples before they expire, eliminating waste! Find a bunch of items you know you’ll likely never put to use? Set them aside to donate to your local food pantry! You can do this as often or as little as you feel it is needed! Plus you might even find some new meals your family enjoys! This might sound scary but I swear doing a spending freeze will not only help you save money but it is a fun way to challenge yourself too! A spending freeze is just as it sounds….you freeze your spending, meaning you don’t spend! If you and your spouse/significant other are competitive as my husband and I then make it a competition to see who can spend less! 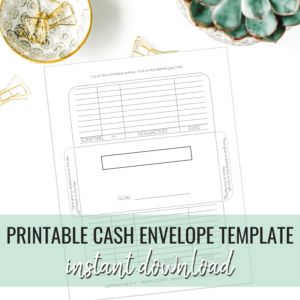 This is a super simple way to save money and maybe even add some extra to your cash envelopes while you’re at it! We love to do a spending freeze to get back on track after all the holiday spending chaos! You don’t have to do much to prepare. In fact, I feel as if you prep too much you’ll ending up spending a bunch of extra money to “prepare for your freeze” that it would end up being counter-productive. Try this for as little as a week or as long as you please…I promise you’ll start to evaluate your everyday purchases even after the freeze ends, which will likely result in even more savings! When you shop in the store it is way too easy to toss everything (no? Just me?) in your cart and justify the “need” for it! Target, for example, hell yes I “need” almost every. single. item. at Target and it used to be a rare occasion to get through that check out for under $100 a pop, right? When I shop online I’m able to keep an eye on my shopping cart and my total. I also have the luxury of comparing prices faster and easier from the comfort of my own home! I often find myself removing things from my cart that I realize I don’t need. If it’s a bigger purchase I’ll fill my cart then walk away for a few hours or even overnight to avoid impulse purchases! Bonus: Sometimes if you close the site altogether the merchant will send you a coupon to entice you to come back and finish your purchase! The one caveat being shipping charges. I loathe paying for shipping and will do just about anything to avoid doing so when shopping online, which is why we do the majority of our online shopping through Amazon or Target! If you have an Amazon Prime membership you get free 2-day shipping on almost anything they sell! (Or an Amazon business account, for business owners ) We order anything and everything from Amazon and I love not having to leave my house! Similarly, if you’re a Target RedCard holder you also get free shipping on anything from Target.com with no minimum! Save even more money from Target and/or Amazon if you use the Subscribe and Save feature. I recently started using Subscribe & Save from Target for cat food and cat litter and now I’m never rushing to the store at night because the cat has no food! You set the items and the frequency and get a lower price from Amazon plus free shipping and Target gives you 5% off your order (plus an extra 5% if you use your RedCard) and also free shipping and it just shows up on your front door like magic! A total win-win! Many stores now offer a ship-to-store option which also lets you avoid shipping charges. You purchase online, pay for the item, designate which store location you would like to pick it up at and then you’ll be notified when your item is ready to be picked up! Our local Walmart even lets you skip the line for most “pick up in-store” items now! When you place your order online you’ll be sent your receipt and pickup instructions via email. Once you receive the notification that your item is ready you head to the store where you’ll find a huge store pick-up tower! It can be slightly intimidating your first time, but you just step up to the Walmart kiosk, follow the instructions, scan your phone and it pulls your item and sends it right down to you! It’s really quite amazing and allows you to grab your item and run for your life before you blink and your cart is overflowing with additional items you “need”! Those are my best tips for saving money! I hope you found them helpful and easy to implement into your daily lives without much effort! 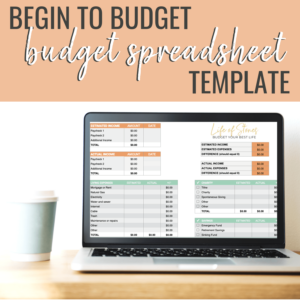 I’d love to hear some of your best tips to save money…if you have some good ones, share them in the comments and don’t forget to check out my new Begin to Budget Bundle to help you get started budgeting today! I use the Savings Catcher at Walmart…. just enter the receipt number & date. If there is a lower price at a retailer in the area, a credit is given. In 4 months, I had $25, accumulated. These are really good tips. I’m currently looking for ways to save more money to pay off my student loans so this will go in the archive! So glad to hear, good luck!! Shopping our pantry/freezer first (and buying in bulk so we stretch out our grocery trips) has been game changing for our grocery budget. And I use that 10% off at Home Depot every time! Oh good, it’s not a ton of money, but it’s better than nothing! I agree, the stuff just accumulates in the pantry after a while and ends up going to waste if we don’t do that! I absolutely love these tips! I am looking to buy a house in the next year and I can’t wait to start using that veteran’s Home Depot/ Lowes discount! You better believe that I will be doing a TON of home renovations when I FINALLY get my own home! Also, cash back is so true! I can’t believe how many people forget about it. I have never paid interest on my two cards that I have, so I am all about those free cash back points! Thanks for the killer tips! Yes!! Use it! I know, it’s so crazy how many people leave a ton of points just go to waste! My husband and I were looking into the Chase Sapphire card today for the travel rewards and then I read this post and you recommend a Chase card. Must be a sign! Haha! It must have been fate! We don’t use it as much as we used to but they have been so good to us! Our card got stolen 3 times over the past 10 years that we’ve had it and they caught it and fixed it each time right away, we were so happy with their service!